This professional home inspection is a visual process where all of the items typically used within the home are tested and/or operated to verify proper operation or installation. 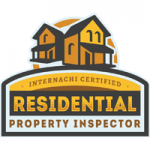 See the "what's inspected" section of this website for more details on this home inspection service. New construction professional home inspections are performed at the pre-slab, rough mechanicals , Insulation and completion of construction, but prior to the final walk though with your builder. It is always a good idea to verify that utilities (gas, water, and electric) have been turned on prior to this inspection. The home inspection is typically scheduled just a day or two before you do the final walk through with the builder. This will ensure that most last minute items have been completed prior to your inspection. 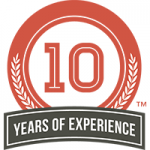 Warranty home inspections are performed during the 11th month of your one year Builder Warranty. I have 27 years of Custom Home Building and Home inspection experience, let me put it to work for you. Much like a new car warranty, once your home warranty expires and you find problems with the home, the cost will come out YOUR pocket rather than the builders to fix it. Don't delay, time is critical. 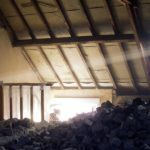 You could have any number of issues like: Cracked or broken roof truss or component, open grounds, non working gfci, roof leak, window issues, plumbing leaks, warped doors, etc. 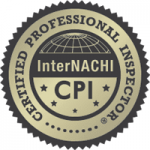 My Builder Warranty inspections are very reasonably priced and can save you many times the cost of the inspection alone. These professional inspections provide you with a better understanding of the pool and/or spa conditions. Inspections look at interior finish materials, decks, steps, handrails, ladders, coping, pumps, motors, blowers, skimmer, filter, drains, heating, safety controls, gauges, visible piping and valves, automatic fill, lighting, ground fault circuit interrupters, visible electrical components and timer, and child safe barrier provisions. Listing home inspections are great for the homeowner who may not be in tune with the condition of their home. A great many sales are cancelled due to the buyers shock at the "functional condition" of the home. It may look great, yet have serious technical or safety issues present without the owner's knowledge. Having a home inspection done prior to placing the home on the market is an ideal way to identify and either repair or disclose the issue found in the home inspection report. Obviously, repairing the items would be most beneficial towards completing the sale and getting a higher net sales price for the owner. We are here to help both the buyer and the seller to know and understand every fact about the property they are buying or selling. Termites are a fact of life here in Arizona and most every home will encounter them at some point in time. No matter how your home is constructed, where it is located or how new it is, your home could be attacked by subterranean Termites. We use State certified and licensed company for inspections, treatment and on going maintenance. Inspections are performed by this licensed Termite company and the reports are emailed directly to your agent by the Termite Inspection company. We offer this service strictly as a convenience to you our client. We take inspecting your vacation home very seriously and do each home inspection as if it were our very own home. Will check the following on a weekly / bi weekly / or monthly schedule for you. We do Vacation Home checks in Scottsdale, Carefree, Cave Creek, and Paradise Valley. We will walk through the home to inspect overall general condition and leave a report . If we happen to find anything that needs attention we will call or E mail for discussion and possible action. In the event we get a big rain , your home will be re-inspected the next day to insure there aren't any leaks. If work needs to be scheduled, we can do that for you as well and meet the contractors at the home to get them in. We are your eyes around your home while you are away. Give us a call to see how we can help you on your vacation home needs. Sonoran Property Inspections provides Phoenix Home Inspection, Scottsdale Home Inspection, Arizona Home Inspection, Cave Creek Home Inspections, Chandler Home Inspection and home inspections throughout Maricopa county.